An international, Christian delegation to the Mexico-United States border led by the World Communion of Reformed Churches (WCRC) is calling for radical reforms to address not only the causes of migration but the way in which migrants are treated on their journey. 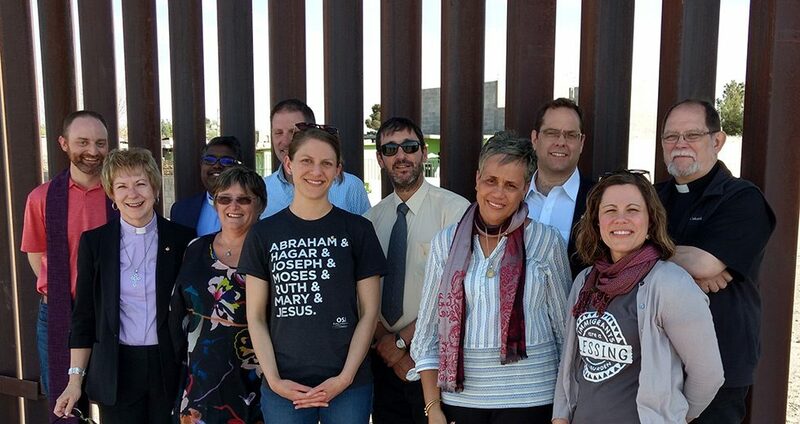 The delegation, made up of representatives from WCRC member churches and partners, came to the border to witness first-hand the situation being faced by those seeking asylum and refuge. 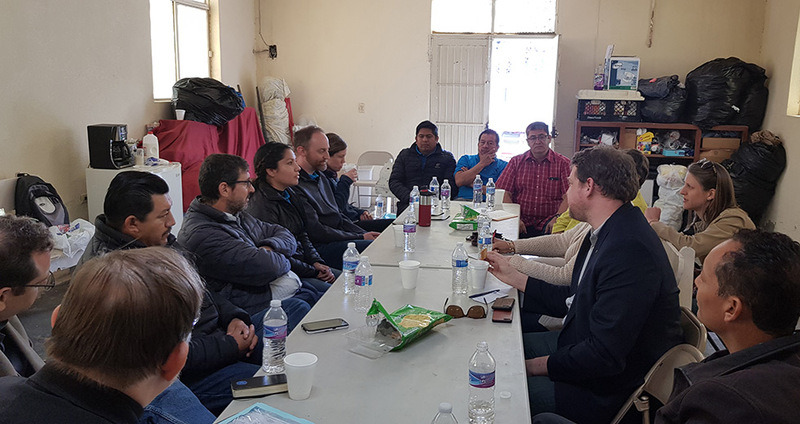 They visited WCRC partners in Ciudad Juarez, Mexico, and witnessed the work being done among migrants and the hospitality of the churches on both sides of the border. They heard of the hardships people faced en route to the United States of America and the broken situations in their native locations that have resulted in this large scale movement of people. They witnessed the struggles of people imprisoned in the Immigration and Customs Enforcement (ICE) detention center in El Paso, Texas. We call for a dismantling of walls, borders and facilities that contribute to the dehumanization, exclusion, isolation and vicitimization of people. We call upon our nations to enact just laws which allow for human rights and justice that account for human dignity, righteousness and compassion. The delegation will take this message not only to WCRC members and partners but also to Washington, DC, where they will join other Christians at the 2019 Ecumenical Advocacy Days event. “This large-scale movement of people starkly shows the critical life-threatening situations in which many people in Central America, especially in the so-called Northern Triangle, live,” said Dario Barolin, executive secretary of the Latin America Alliance of Presbyterian and Reformed Churches (AIPRAL), a regional council of the WCRC. AIPRAL and the Presbyterian Church (USA) are working together to create a work plan to address the root causes that produce forced migration. Other WCRC members also have been taking concrete actions in relation to this situation. The Mexican Communion of Reformed and Presbyterian Churches, together with the Theological Community of Mexico, is providing pastoral and psychological accompaniment to the people who make a stop in Mexico City. The PC(USA), United Church of Christ and other member churches in the United States have for a long time had a mission of solidarity, accompaniment and advice on the borders, including providing legal counsel to those seeking sanctuary and asylum. Presbyteries and congregations are offering their houses of worship as sanctuaries. U.S. border police did not grant permission for Mexican partners to participate in a worship service which was to happen on both sides of the border fence, so the delegation held a service on the U.S. side. Members of the delegation were: Dario Barolin (AIPRAL), Amanda Craft (PC(USA)), Chris Ferguson (WCRC), Jennifer Flett (Council for World Mission), Hugo Gallardo (CMIRP), Doug Leonard (World Council of Churches), Angela Martins (WCRC Caribbean and North American Area Council), Ken Neevel (Reformed Church in America), Philip Vinod Peacock (WCRC), Ryan Smith (PC(USA)), Melissa Stek (Christian Reformed Church in North America) and Lisa Vander Wal (WCRC and RCA).